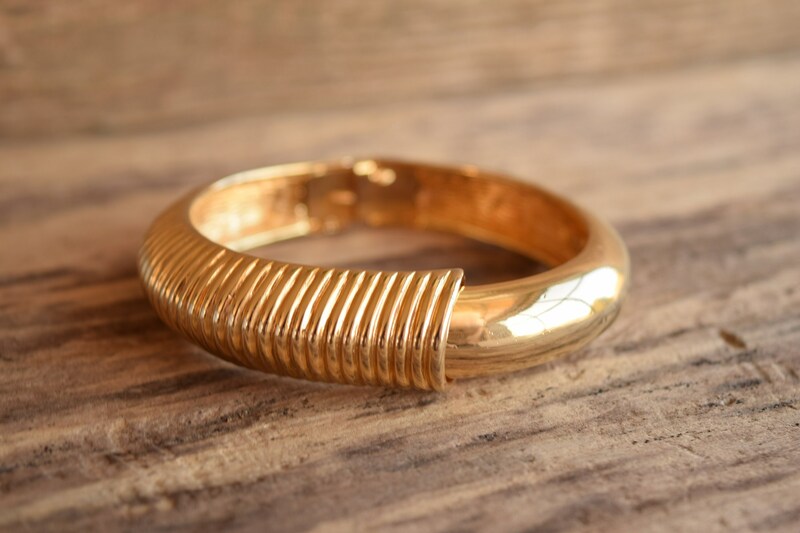 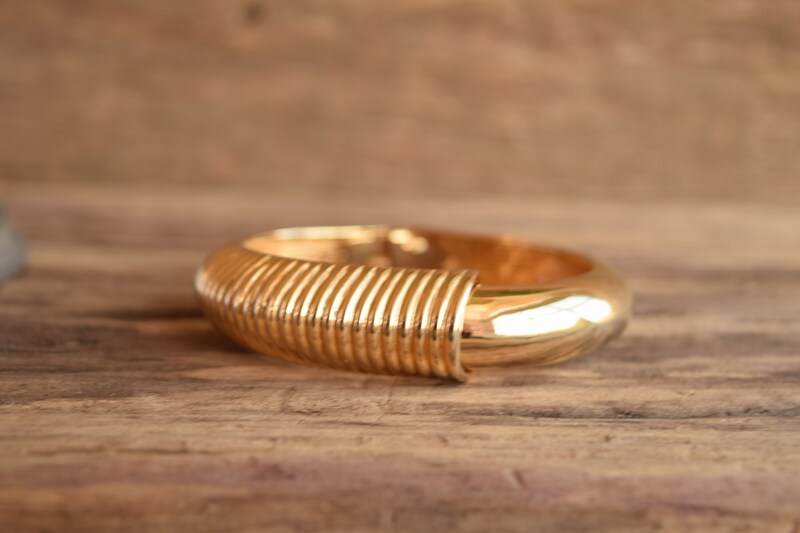 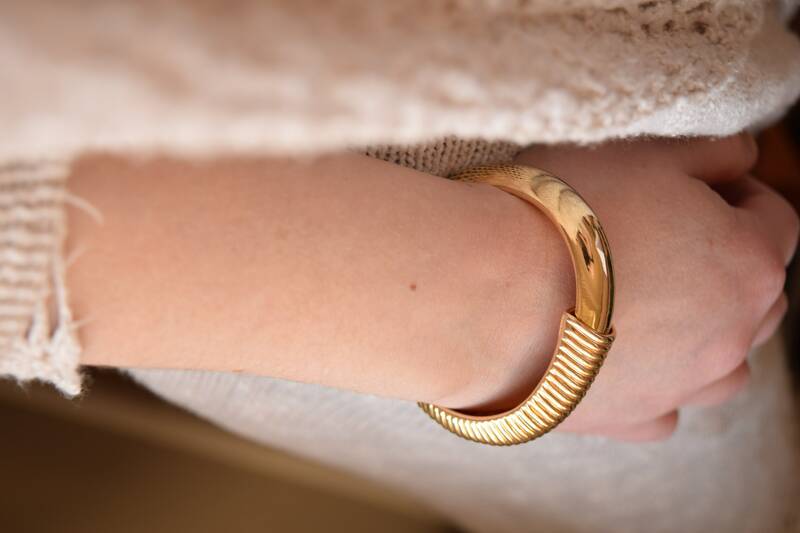 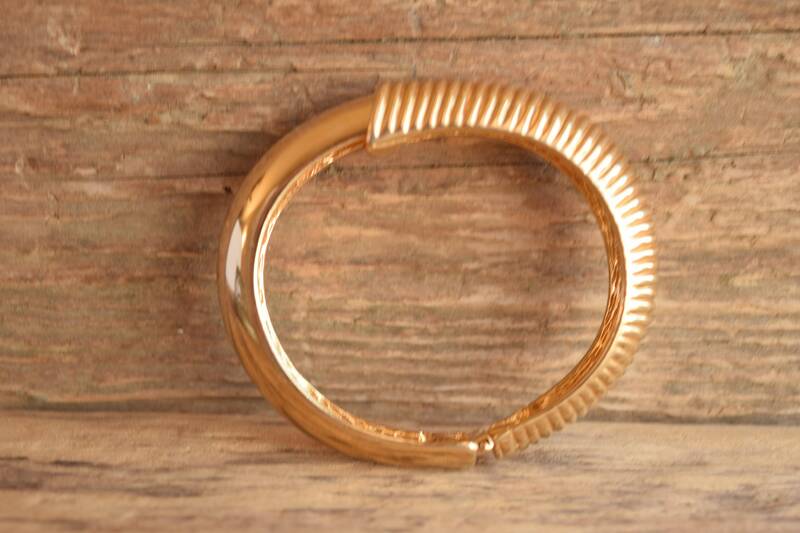 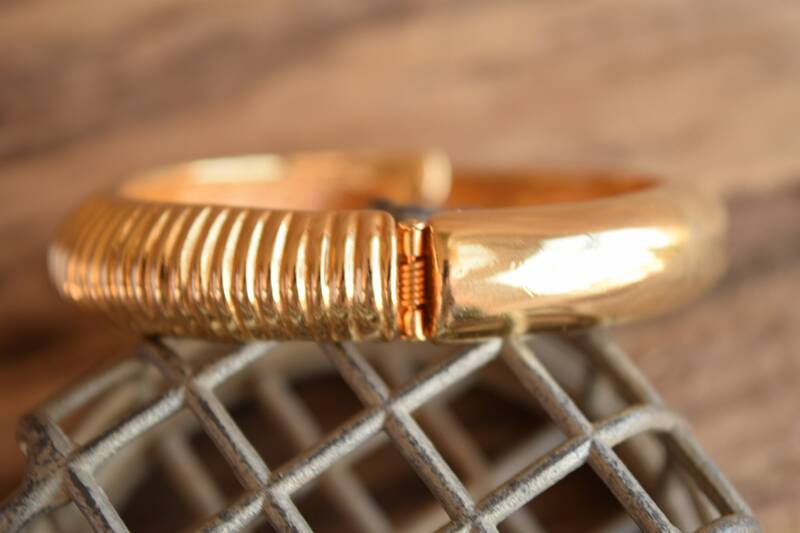 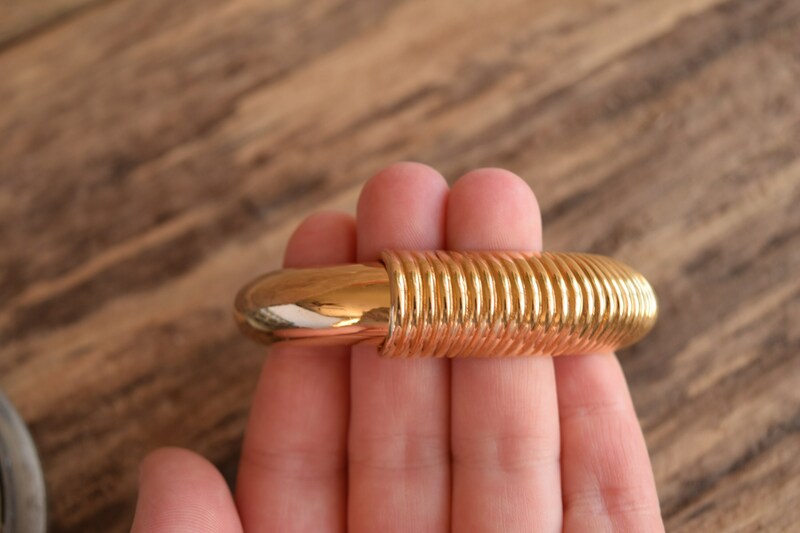 Perfect your look with this classic golden hinged bangle. 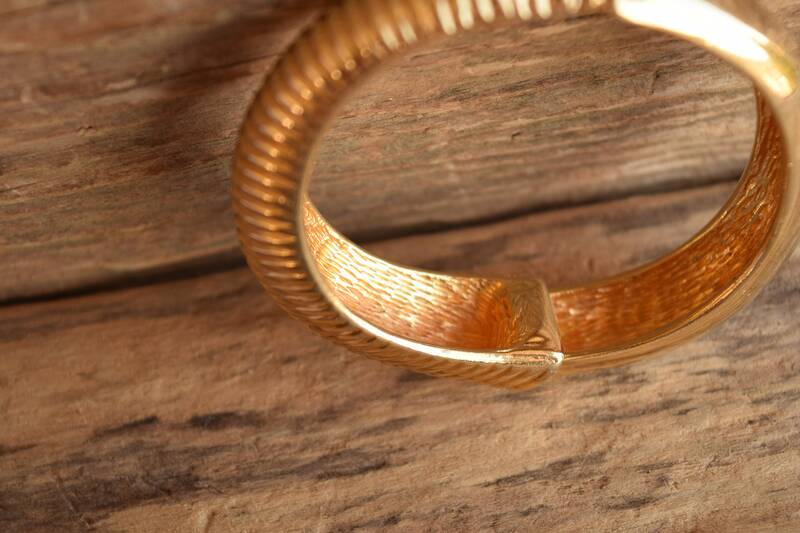 It features a ridged design partnered with a smooth side for a near seamless appearance. 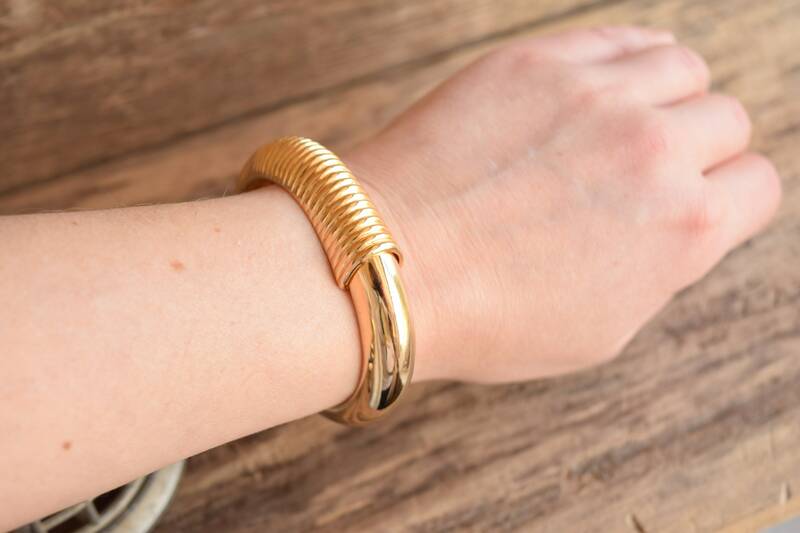 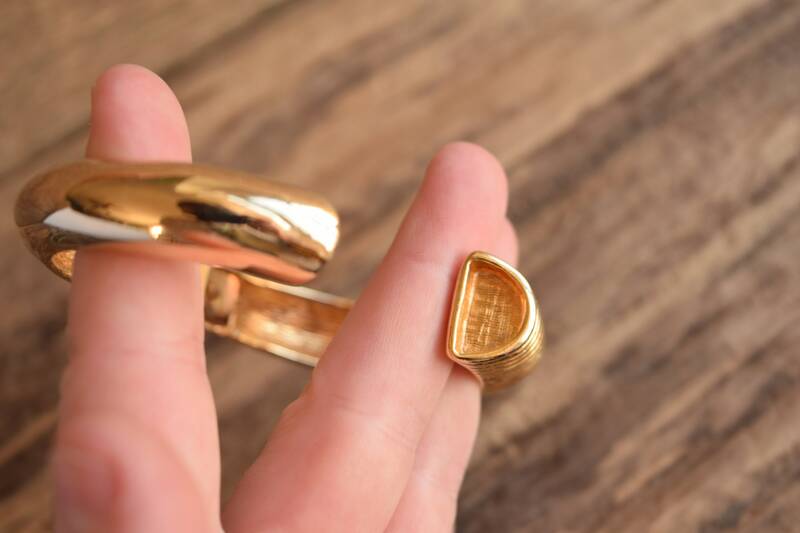 The hinged center provides a comfortable fit without the hassle of pulling it over your wrist. 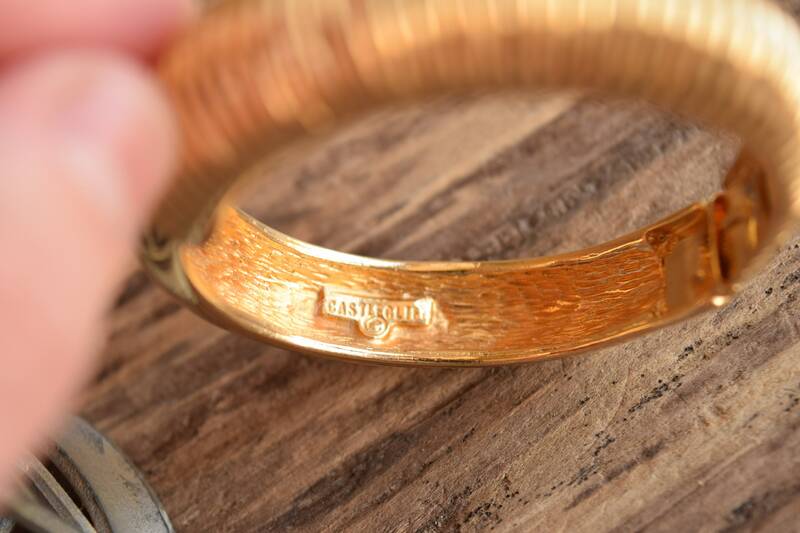 Condition: Great, with some surface and scratches scuffs consistent with age and light use.